The Peel Regional Police Association (the P.R.P.A.) 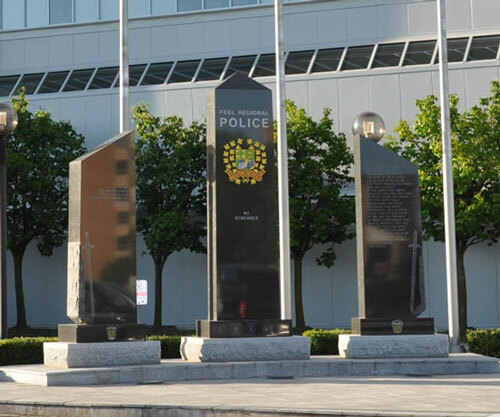 was incorporated in 1974 following the amalgamation of 5 local police forces – Mississauga, Brampton, Streetsville, Port Credit and Chinguacousy and their respective Associations into 1 municipal Police Force and 1 Association. Currently representing approximately 2700 Uniform and Civilian Members, the P.R.P.A. is the third largest police association in Ontario following the Ontario Provincial Police and the Toronto Police Association. Staffed by an elected President, a Chief Administrative Officer, 4 Member Representatives, and support staff, the Association facilities are situated on 25 acres of land in Brampton. Our property, paid for by our Members, consists of an office/recreation complex that provides a place for our Members to bring their families to socialize, swim, play volleyball, baseball, or just relax. As the exclusive bargaining agent for all civilian and police members with the exception of the Chief, the Deputy Chief – and those members of the Senior Officers Association, the President and Staff at the P.R.P.A. are continually researching new ideas and contractual language to serve the interests of our Members.